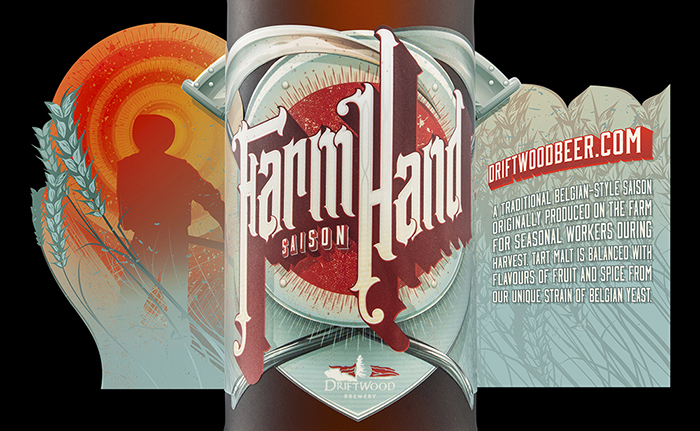 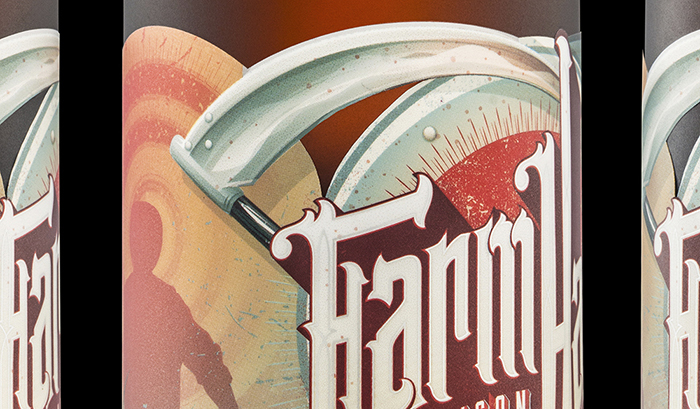 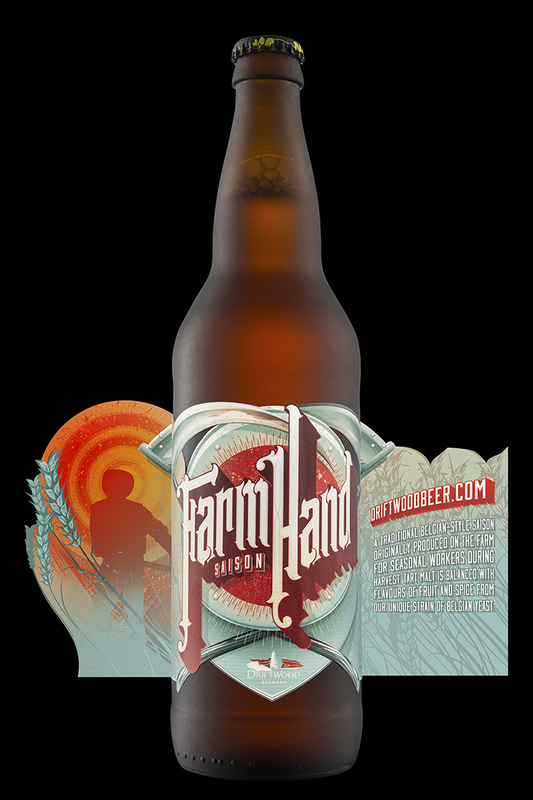 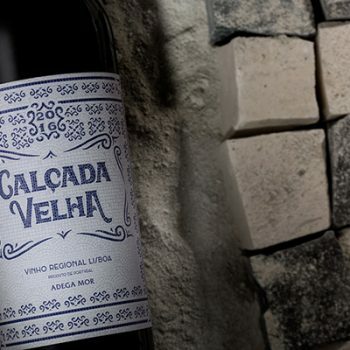 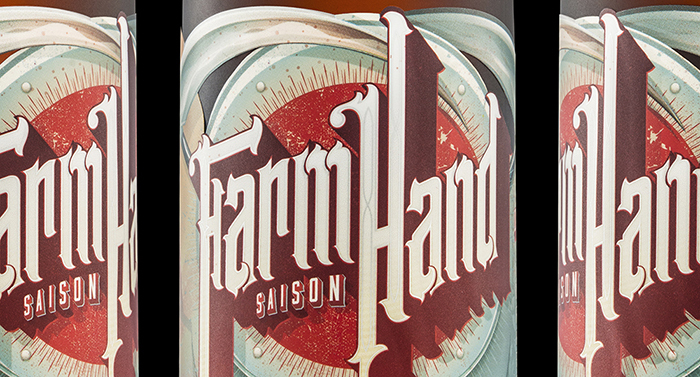 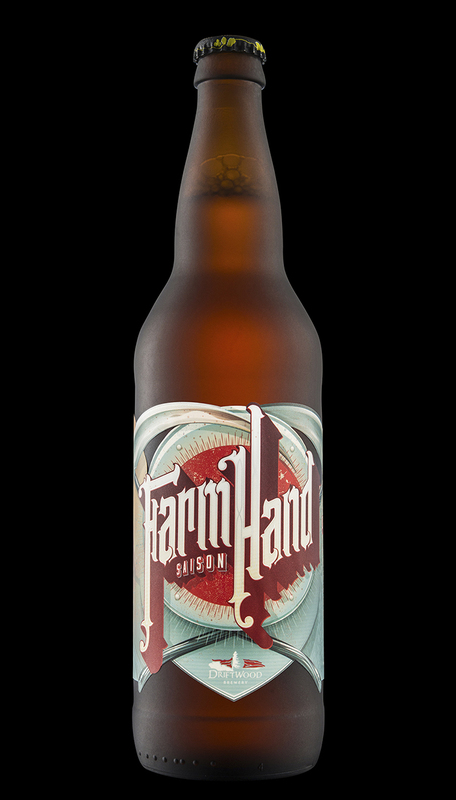 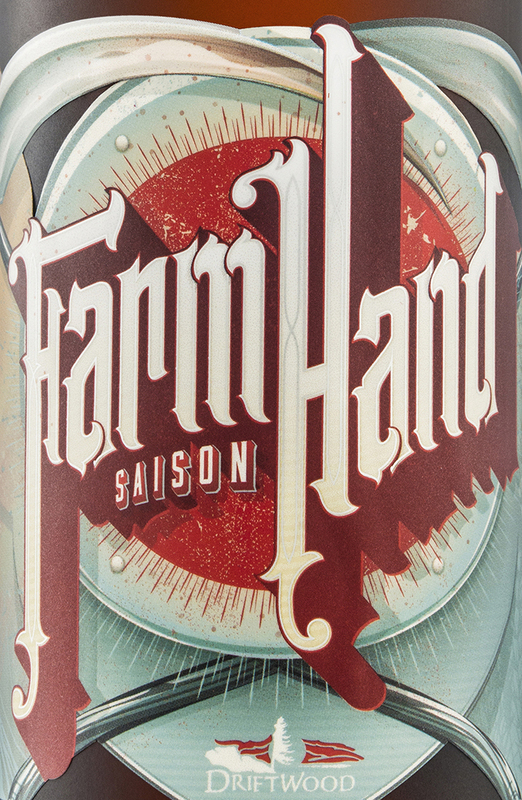 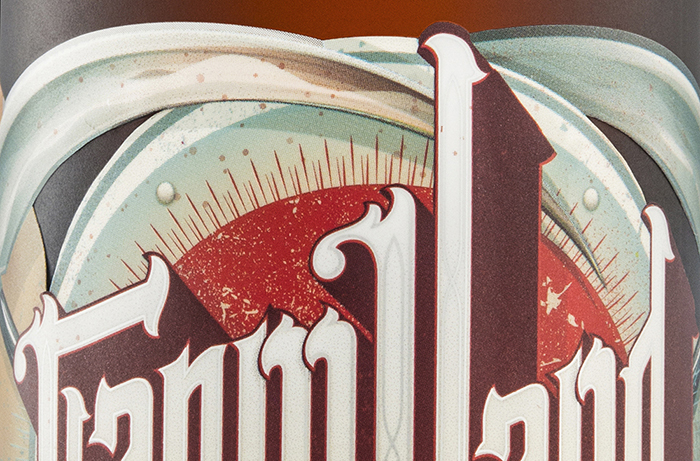 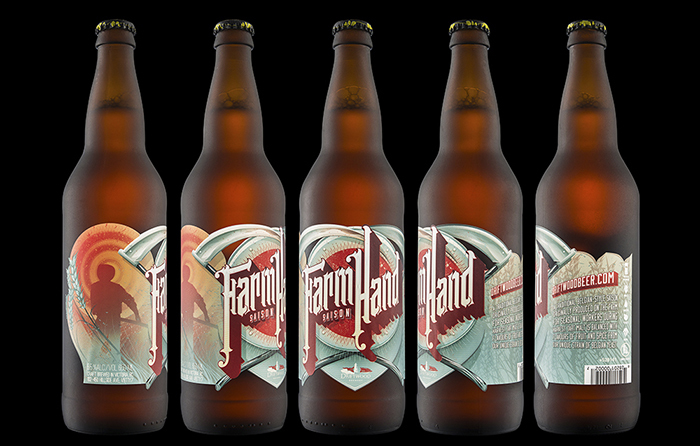 A traditional Belgian-style saison originally produced on the farm for seasonal workers during harvest. 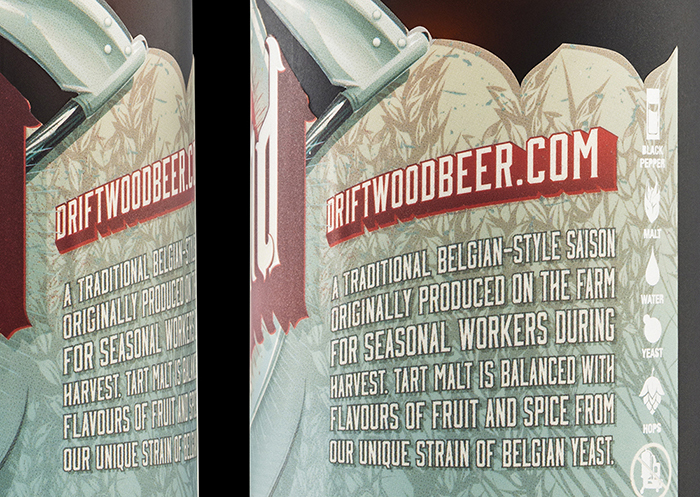 Tart malt is balanced with flavours of fruit and spice from Driftwood Brewery’s unique strain of Belgian yeast. 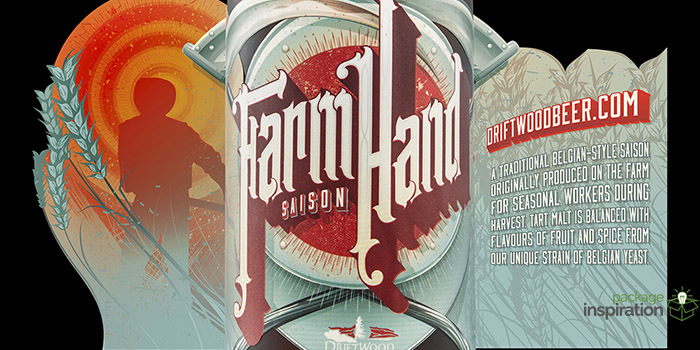 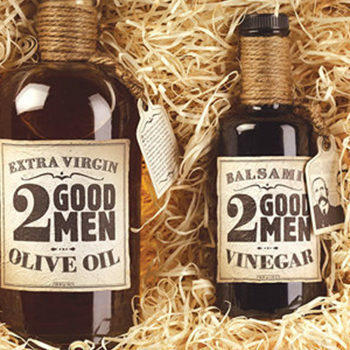 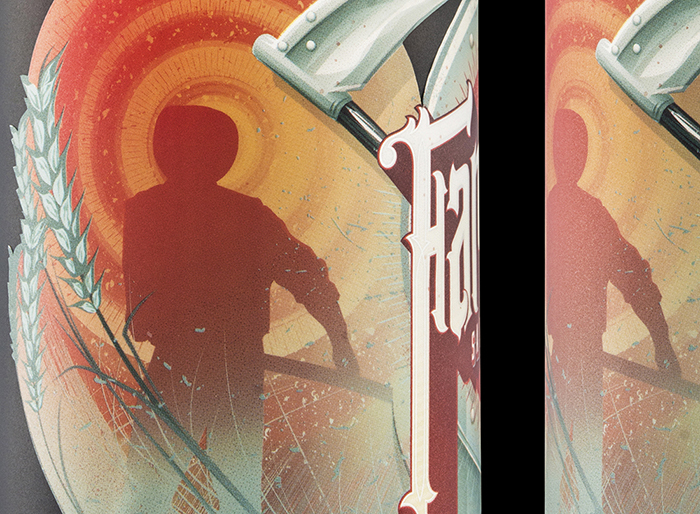 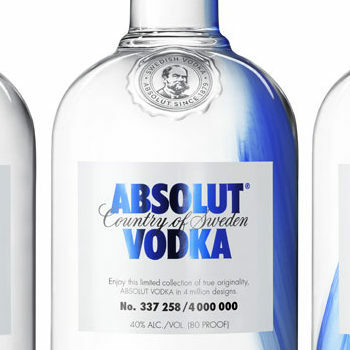 For this redesign, we focused on typography that evokes the end-of-day on a grain farm in the summer: we’re using serifs and terminals that echo traditional manual farm equipment – the sickle and the scythe – and adding an elongated shadow typical of a low summer sun signalling the end of the workday in the field.